This is the biggest annual fundraiser for the Saints Men's Club, a 501-c3 non-profit organization. The men of our community volunteer their time to work the tree sale. All proceeds raised go back into special projects for the betterment of our community. In the past the club has helped build a new playground for the kids, replace unsafe gym bleachers, fund a new patio for the church, provide meals for the Simpson House Shelter, and more. Please consider buying your tree from us, knowing that in the spirit of the season you are giving back to our great community. 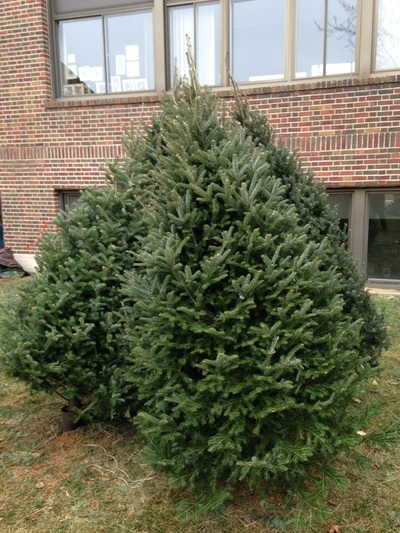 All our trees come fresh cut from Wolcyn Tree Farms in northern Minnesota, a blue ribbon award winner for Christmas trees at the Minnesota State Fair. Wolcyn Tree Farms & Nursery, is a family owned and operated business that has been producing quality evergreen trees for over 40 years. 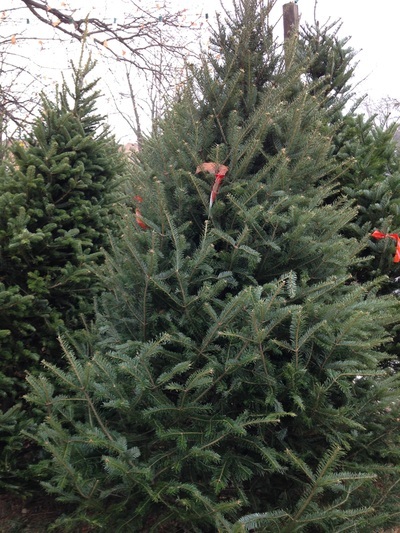 Wolcyn Tree Farms has 600 acres in East Central MN specifically devoted to growing high quality Christmas trees. We need volunteers. Sign up to help. We welcome kids to contribute time towards their volunteer hours. The Fraser is the nursery's most beautiful tree with its silvery blue underside and soft rounded needles. It has extraordinary needle retention holding up well past six weeks inside the house. Once you've had a Fraser Fir, you'll never go back to anything else! The Fraser Fir is most noted for its excellent needle retention and strong branches which are perfect for those heavy ornaments. The nursery's most beautiful tree with its silvery blue underside and soft rounded needles. It has extraordinary needle retention holding up well past six weeks inside the house. 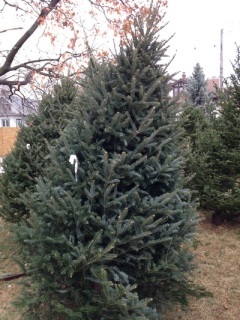 Once you've had a Fraser Fir, you'll never go back to anything else! The Balsam Fir is the traditional Christmas tree, native to the North East, and is known for its strong fragrance. The most popular tree offered by Wolcyn Nursery for the last fifteen years. It has short soft needles, a great aroma, and supports ornaments well. The needle retention is good when properly cared for.